Warranty: 6months ltd. warranty against manufacturing defects only. - Ugreen PID: 40229 is designed to quickly and easily add an additional display to your USB-enabled computer. 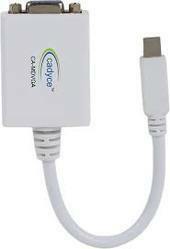 - It delivers smooth, high definition content to multiple displays and can be used in primary, extend and mirror modes. - It is a perfect solution enabling you to extend your display across two screens or as an alternative display for your main screen. 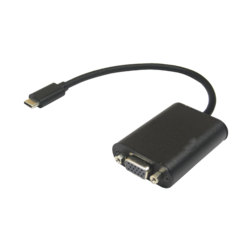 10437 Mini Display Port to VGA +audio Converter could seamlessly connect your MacBook, MacBook Pro, or MacBook Air with a Mini DisplayPort to conventional VGA displays, such as CRT, LCD monitors and projectors to enjoy the quality audio and video from your home theater. The special aluminum case enhance its anti-interference performance. Bf3381, active converter mfr with copper cable comes with all necessary certifications. 1yr warranty against manufacturing defect.